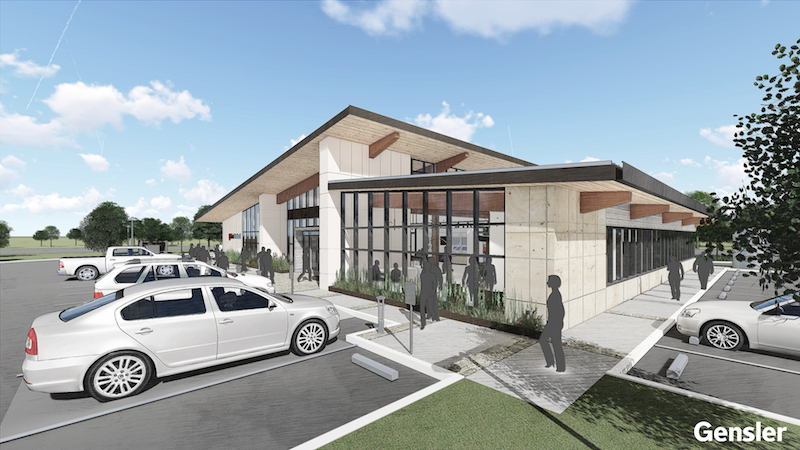 Once completed in July, Texas will have its first full mass timber building in the First United Bank building. 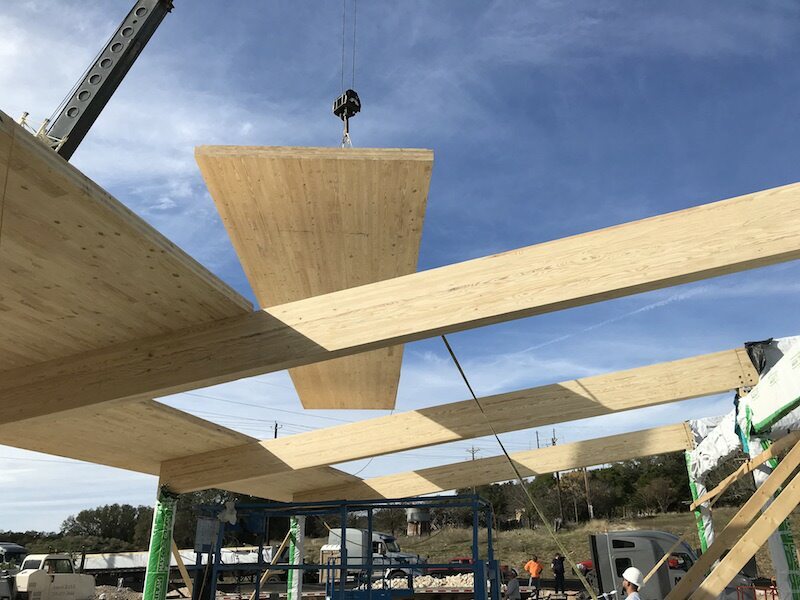 In addition to being the first full mass timber building in the state, the 8,500 sf building will also be the first retail mass timber structure in the state and the first mass timber structure in the country to use Southern Yellow Pine CLT panels. 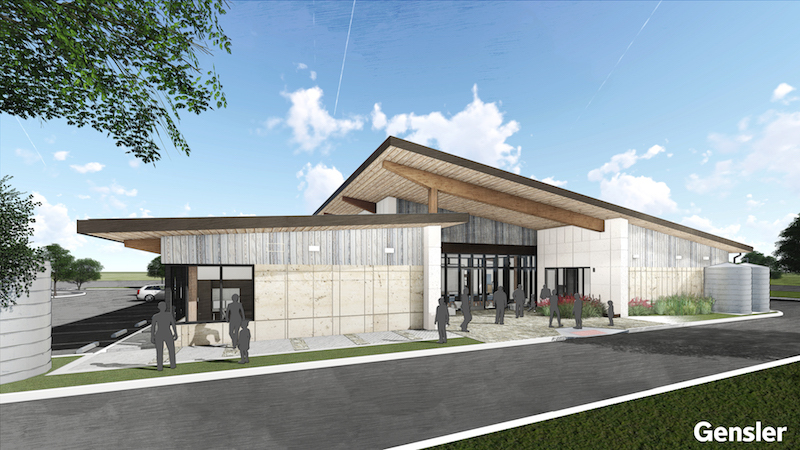 Gensler, the project’s architect, decided to use Southern Yellow Pine over the typical Douglas Fir because it is a native species prevalent to Texas and surrounding southern states, which opens the possibilities for using true local natural resources for future projects. The mass timber elements used in the First United Bank in Fredericksburg were completed 60% faster than traditional construction. 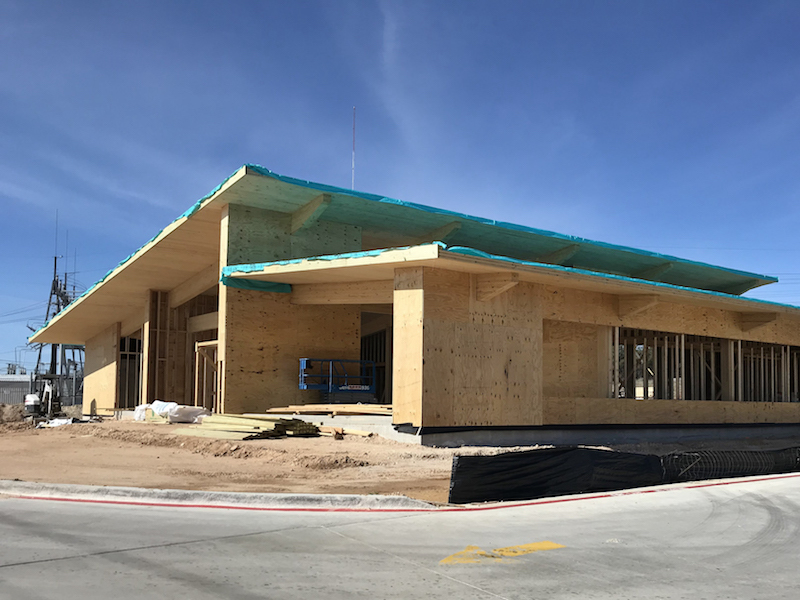 Southern Yellow Pine glulam beams and columns are being used in the bank’s construction. The glulam beams will be left exposed along with CLT panels in the lobby, community room, office spaces, and exterior overhang. The project is designed as a net zero structure, producing as much energy as it consumes on a yearly basis.